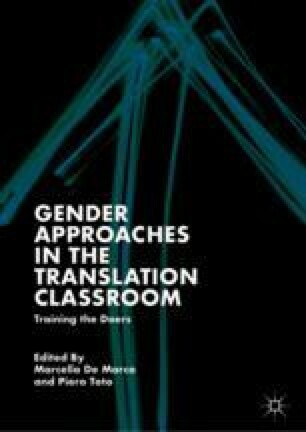 Translator Training has, for a number of years, been a key topic of research in Translation Studies—its methods, techniques and paradigms having been the subject of discussion for decades. In this volume, such practices are explored from a variety of perspectives and by contributors whose academic, professional and personal experience informs their pedagogy. ———. 2009. Translator Training. Pre-print Text Written for the Oxford Companion to Translation Studies. Available at http://www.tinet.org/~apym/on-line/training/2009_translator_training.pdf. Accessed 14 October 2017. ———. 2012. Translation Skill-Sets in a Machine-Translation Age. Available at http://usuaris.tinet.cat/apym/on-line/training/2012_competence_pym.pdf. Accessed 14 October 2017. World Economic Forum. 2015. Available at https://www.weforum.org/agenda/2015/05/why-education-is-the-key-to-sustainable-development/. Accessed 16 November 2018.